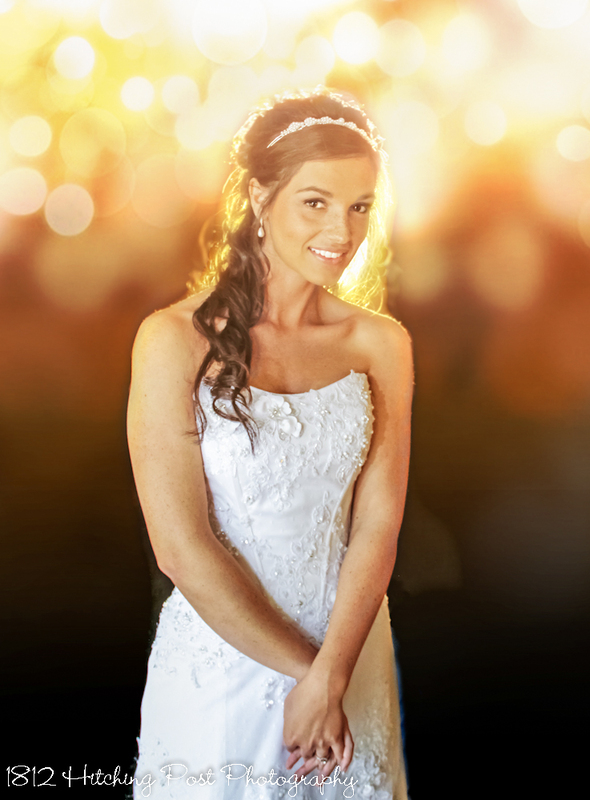 On your wedding day, you’ll want to spend as much time as possible with your new husband, guests, and family. 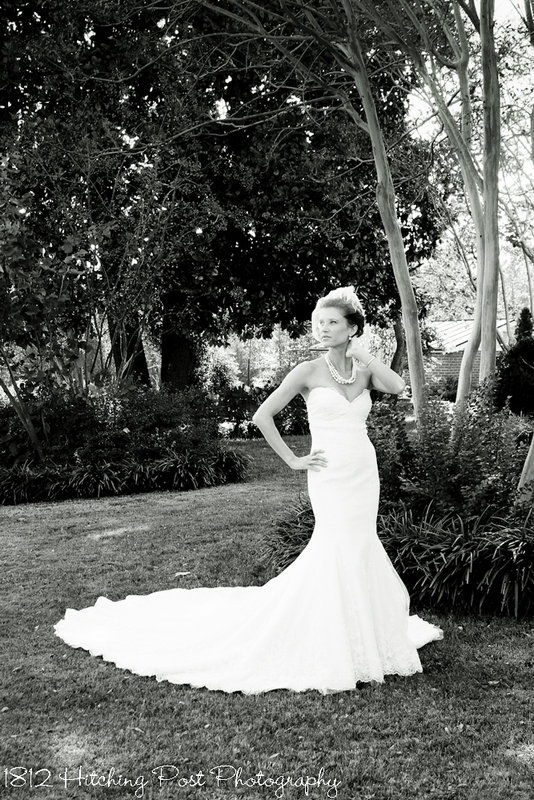 You won’t feel much like posing for the camera by yourself. 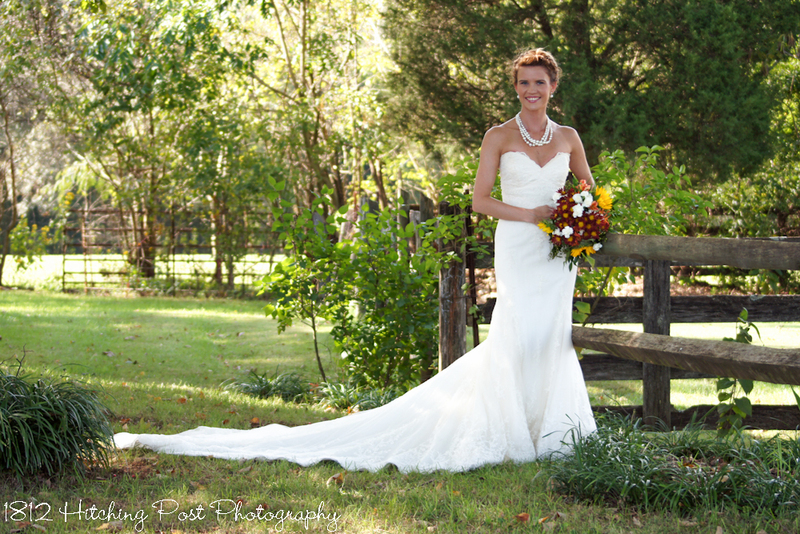 A bridal portrait session allows you the time to get beautiful portraits of just you, your dress, and your flowers before your wedding. 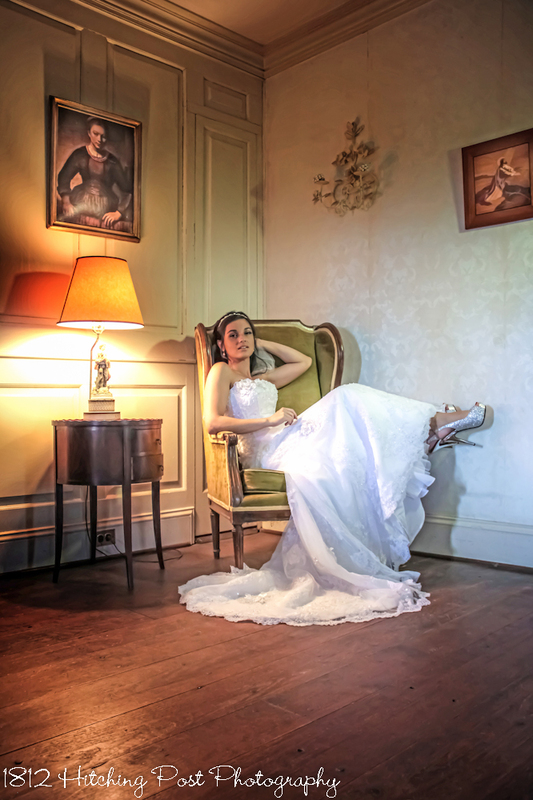 One of the advantages of the portrait session is that you can see how your hair will look in photos and decide if you want to make any changes before the wedding day. 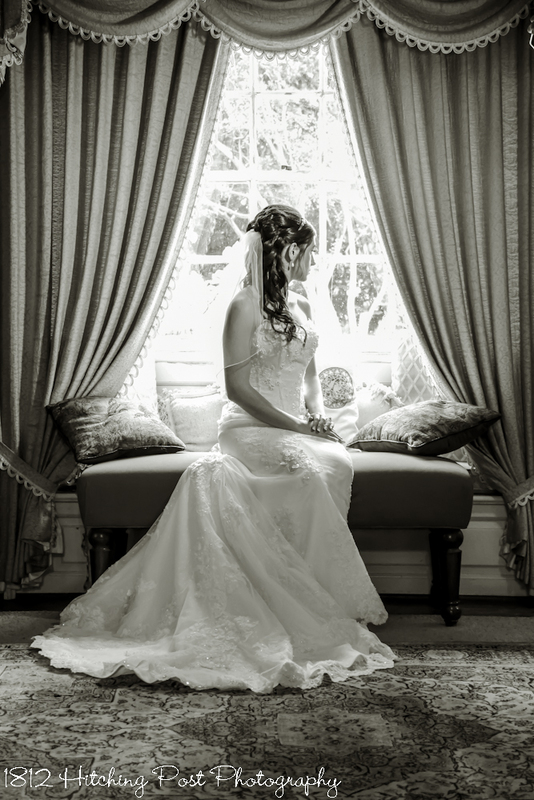 We can plan time at various locations around the property and pick the best lighting possible. 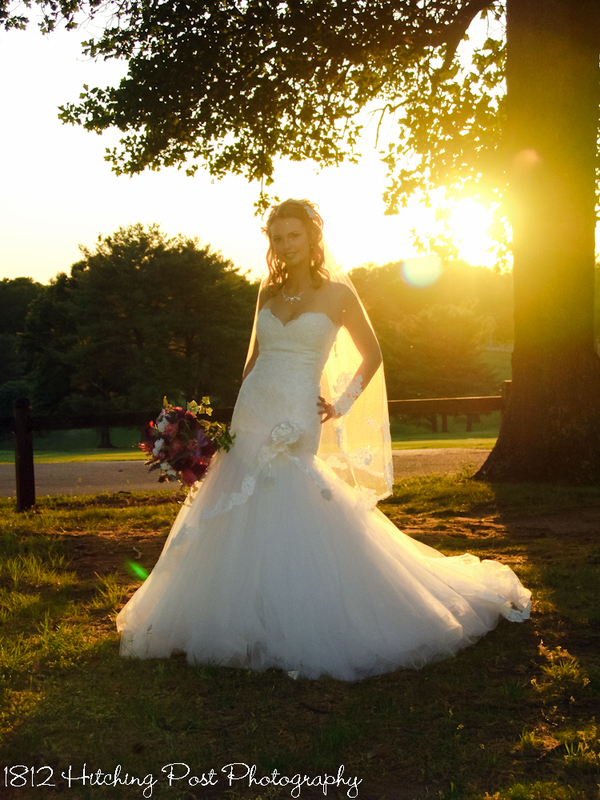 Book your natural light bridal portrait sitting at least six weeks before your wedding in order to have canvas prints or enlargements on display at your wedding. 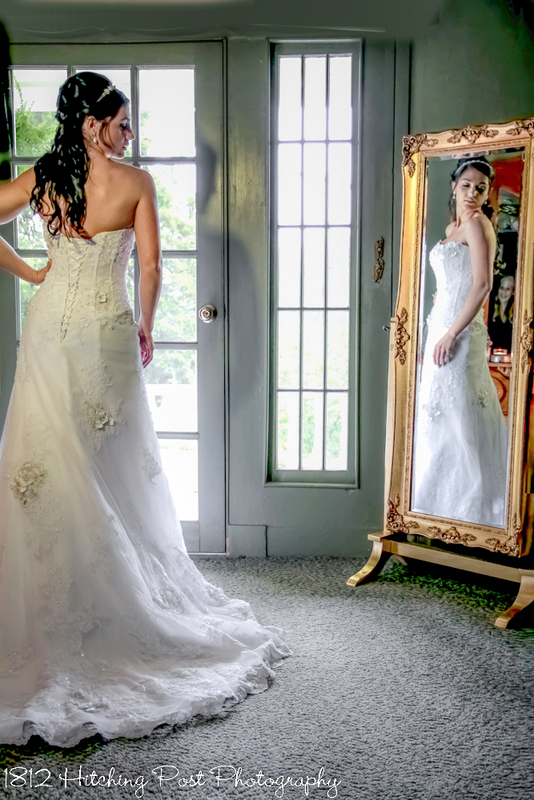 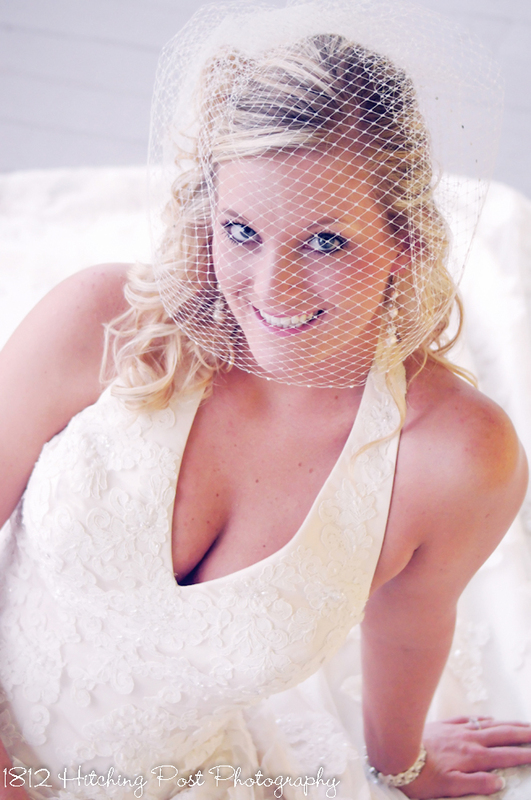 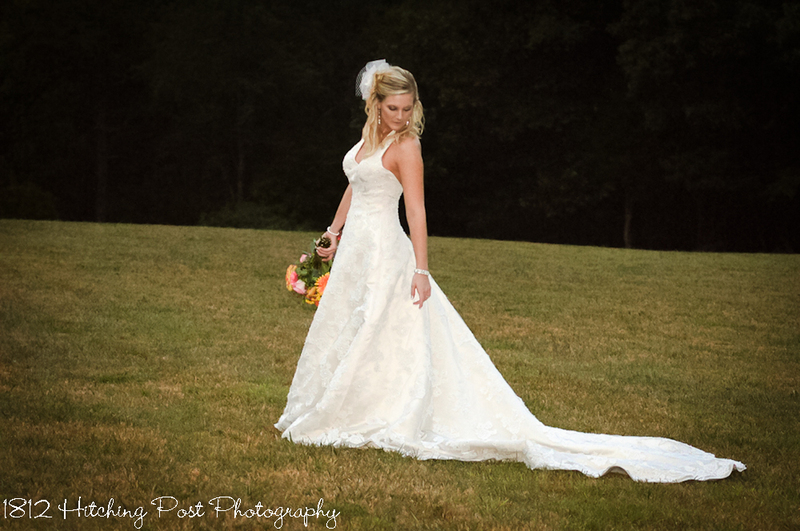 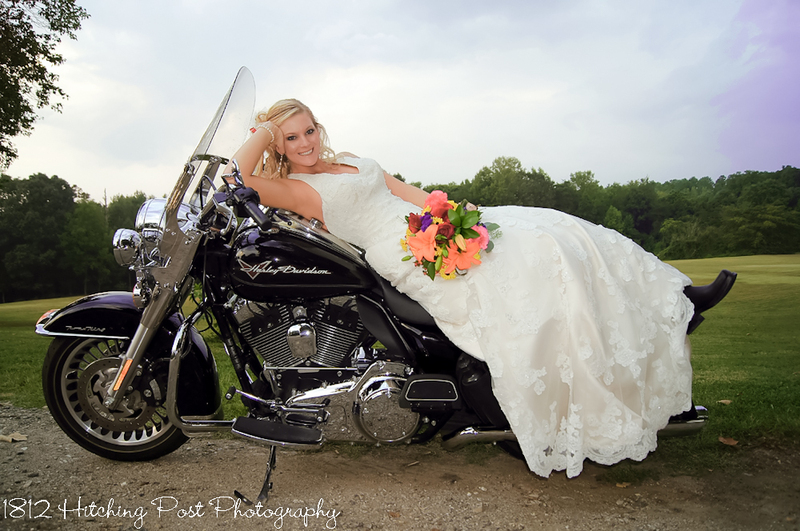 You may book your bridals with any photographer. 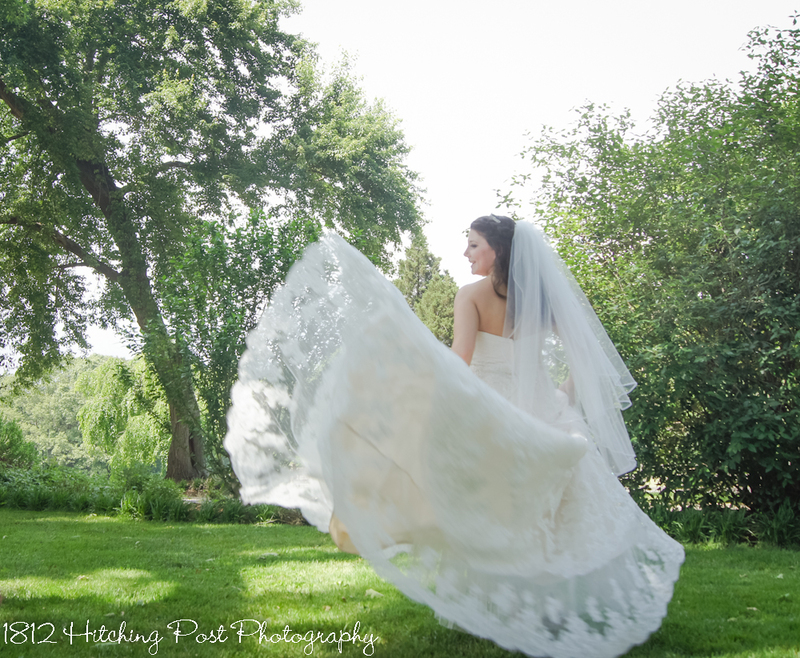 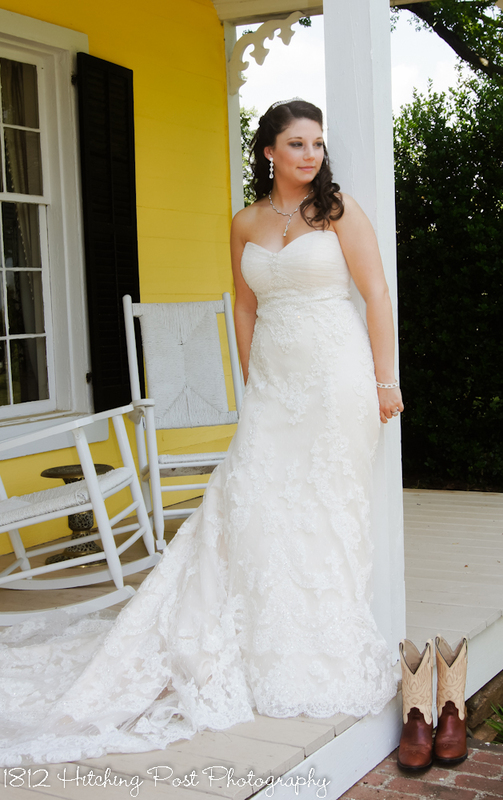 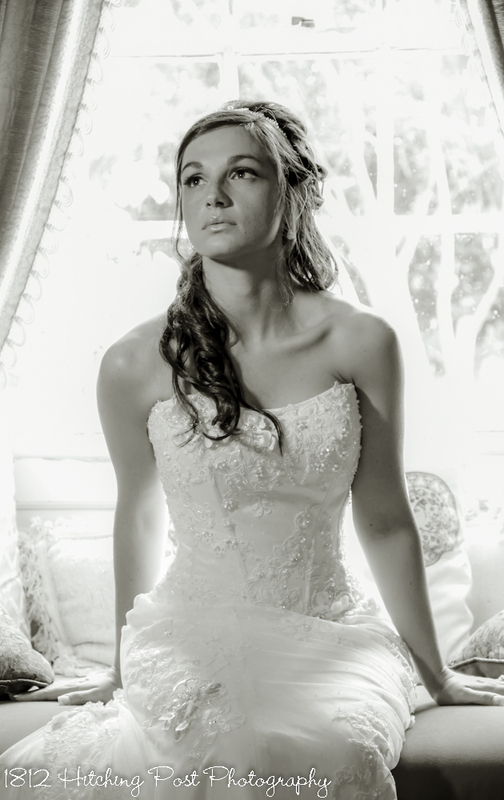 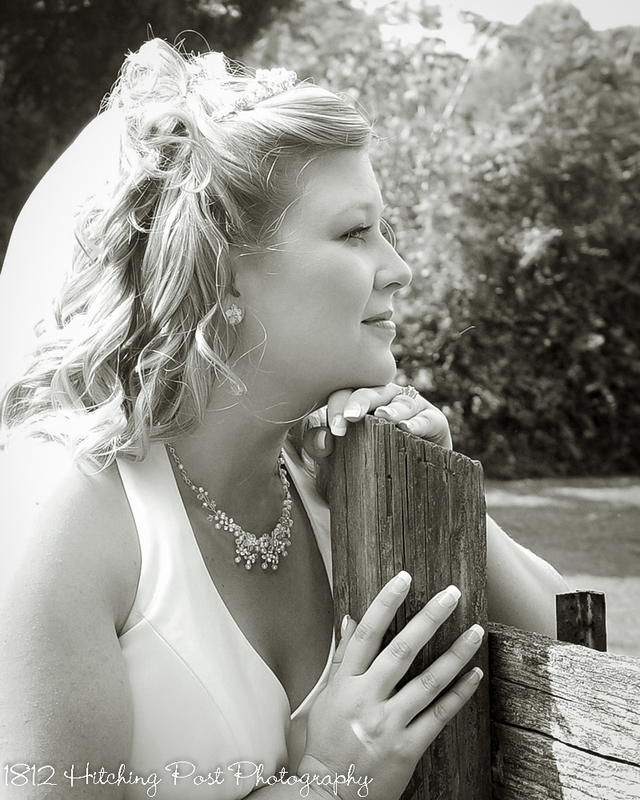 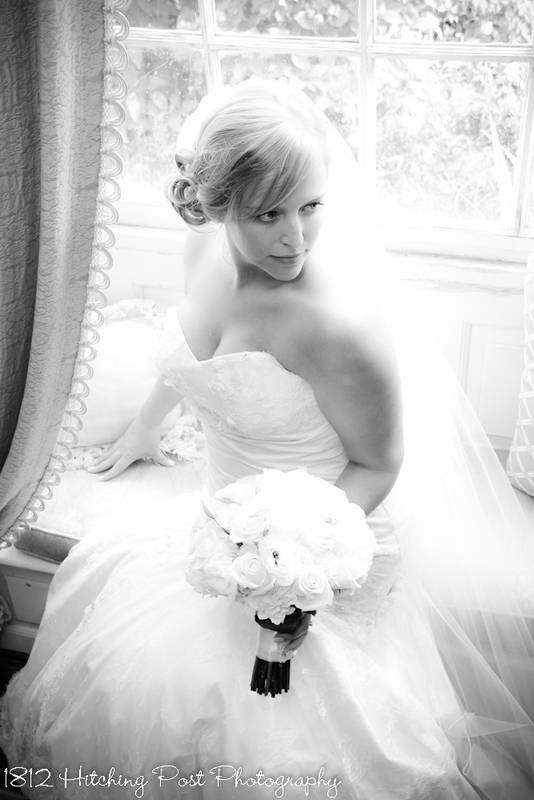 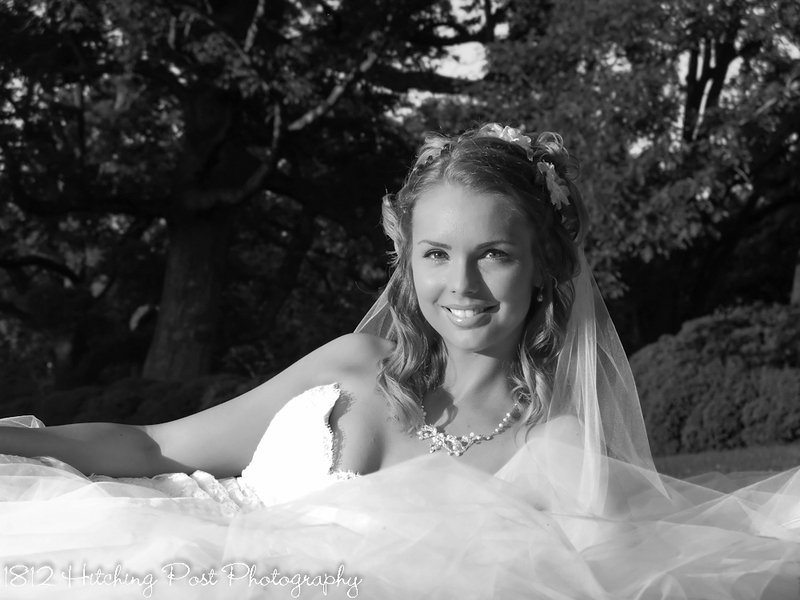 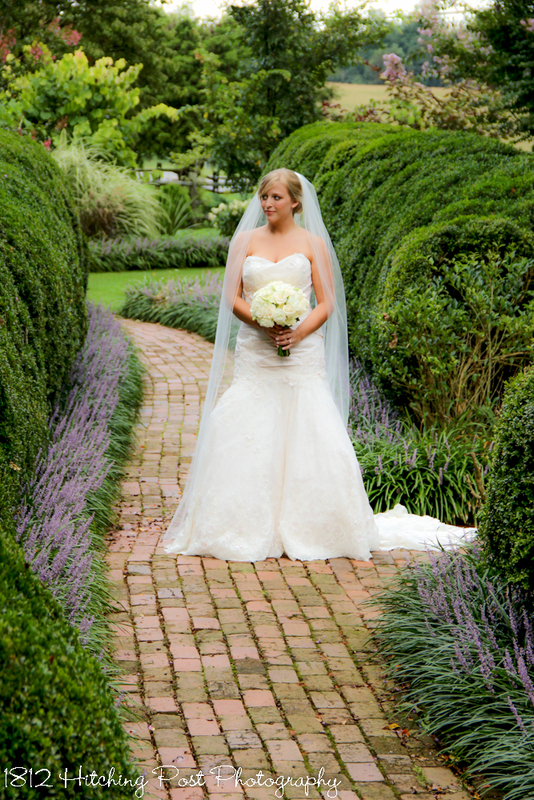 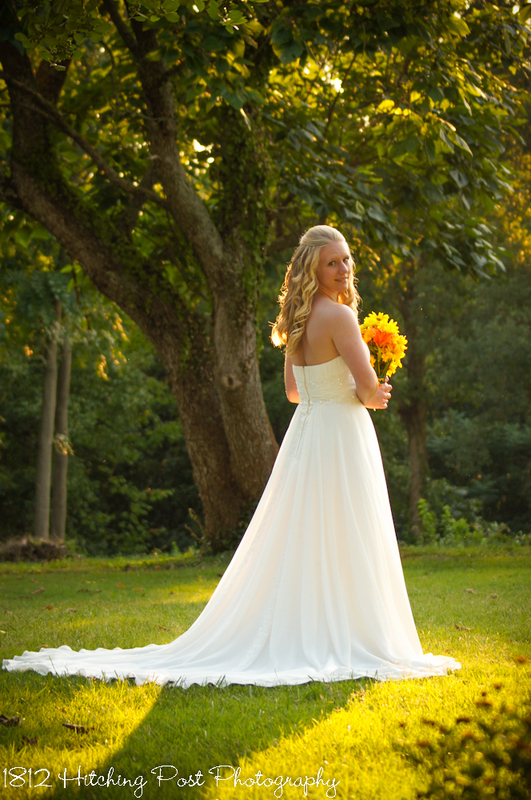 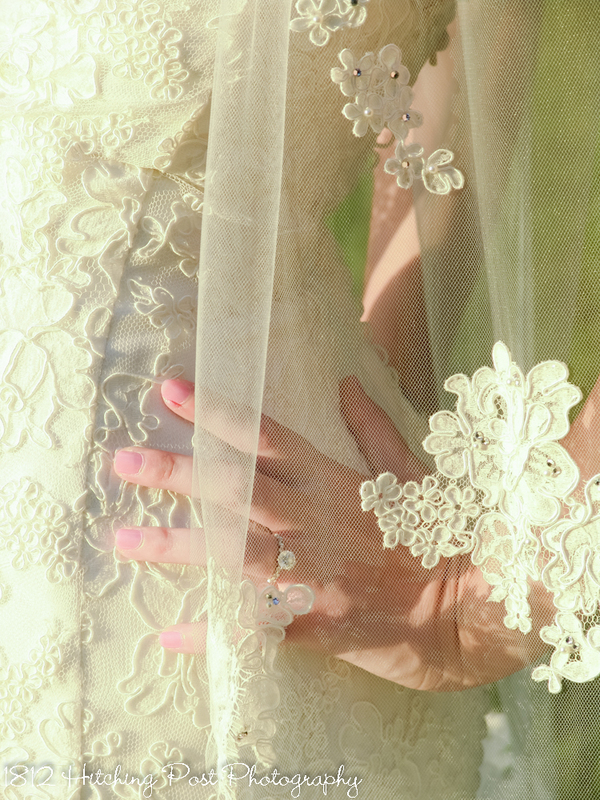 Bridal portrait sittings by Wendy Waldron are available for all 1812 Hitching Post brides!